Most Derivative Exchanges favor brokerages over retail individuals. The brokerages demonstrate their credentials by using leverage and large volumes of trade in their investments, while retail investors who cannot trade at such a scale depend on brokerages to access these exchanges. But recent news unveil that many brokerages are fraudulent, and retail investors are on the losing end. So when Level01’s system architects were designing their game-changing Derivatives Exchange on Blockchain, they decided to disrupt the status quo. “We believe that when we bypass brokerage platforms that are disadvantageous to the traders, Level01 will affect the industry in a big way because we allow traders to receive the full benefits for their investments.” says Jon Loi, who heads Level01. This is a serious declaration of war against fraud, but they have built a seriously intelligent game-changing solution too. 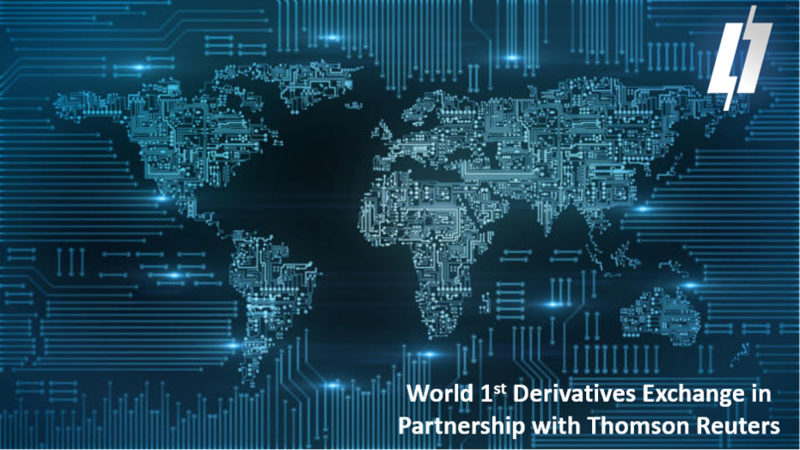 With Leve01 christened as the World’s First Brokerless Derivatives Exchange in Collaboration with Thomson Reuters, CEO Jonathan (Jon) Loi’s team is trying to broaden the reach of the derivative market capitalization and capture a significant part of the gigantic $1.2 quadrillion market, especially by enabling the retail investors to trade derivatives. Level01’s launch this year caught the attention of several large private funders and high net worth individuals keen to invest and support Level01’s expansion, which includes entry into the Korean and European markets. These developments led to the extension of Level01’s ICO till 31st December 2018 to allow for a more diverse and international mix of initial users. Jon’s staff have done well with their biggest challenge. They were tasked to build cutting-edge Blockchain technology into a secure mobile app that would be versatile, intelligent and intuitive enough to attract a large global population of retail investors who are also today’s digital natives. “Most people dislike complexity, simplicity is the key for great user experience,” he says. “You can trade easily on your mobile phone app with the assistance of machine learning, study credible investment data fed directly from Thomson Reuters and do your transactions securely and efficiently without any worries of fraud, theft or price manipulation.” The task of creating a great user experience is in line Level01’s ambition to scale and evolve quickly to meet the needs of a global derivatives market. Level01 is not closing its doors to institutional investors and brokers though. Jon’s team of quantitative finance experts, mathematicians and data analysis professionals recognizes that having an inclusive approach to all users, whether they are retail investors or institutional investors creates more liquidity, better odds, trade executions and profitable trade. Unlike traditional Derivatives Exchange though, much of what Level01 provides is designed to create a safe, transparent, credible and trustworthy trading environment for everyone; retail investors, professional traders and institutional investors. Every user is recognized with statistics and ratings to prove their authenticity and track record. Putting measures to ensure transparency, accountability and security was wise. This removes the issue of fraud, manipulation and mistrust common to most Derivative Exchanges. But there is another barrier that may inhibit the growth of Level01’s retail investors: public perception on cryptocurrency. Most people see cryptocurrency as a volatile medium of exchange, so Jon’s founding team developed a fascinating new asset class that is stable, economically viable, valuable and liquid. “We call it the LVX token, a Universal Asset Currency” says Jon. It is a medium of exchange on Level01 that offers incredible liquidity by providing instantaneous exchange (Hotswap) to other currencies like Bitcoin, Ethereum or USD. This makes trading on Level01, a very attractive proposition indeed. At his office near Hong Kong’s financial district in Sheung Wan, Jon opens up his laptop to reveal the key enabler to scale: Level01’s platform architecture. The firm invented an intelligent hybrid platform with a modular structure to enable scalability, lightning fast development updates, and debugging with zero downtime for maintenance. 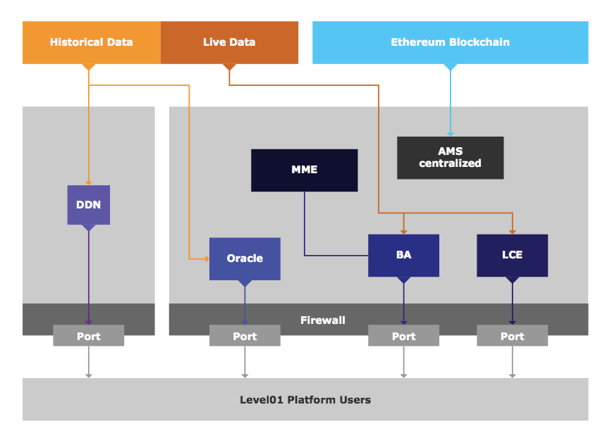 Level01’s neat structure contains the off-chain server processes of the trading and exchange engine, and the on-chain transaction settlement with LIST (Level01 Intent Sealed Transaction) smart contract protocol on the Blockchain that interacts with real-time and historical data feeds to form an efficient, transparent, hybrid platform. “All processes are load-balanced and are scalable without the need to interrupt the system in run-time” he adds. Level01’s platform architecture enables inter-server distribution so that it can achieve minimum response time. It does this by allocating local servers in different regions in the future. Slower turnaround time for submitting or cancelling trade intent. Costlier methods to pairing trade intents, as they have to be submitted to the Blockchain, thereby incurring more cost. Limitations with implementing latency sensitive features to assist trade matching. Low flexibility when creating a great user experience. “By implementing a hybrid architecture, latency sensitive critical processes of the trading engine such as: dynamic charting, trade contract sorting and serving, dynamic pricing, trade matching and monitoring can be performed off-chain and centralized; while leveraging Blockchain technology to do what it does best, to intermediate trust and confer immutability and transparency to transaction settlements.” says Jon. Being less than a year old, Level01 is not yet a global name but it should probably be. The Hong Kong based company has invented a revolutionary Derivatives Exchange and overcome challenges to create an intelligent trading engine fit for all types of investors by making every process is seamless, efficient and secure. Its intelligent trading engine makes derivatives trading a first-rate experience that puts all other Derivative Exchanges to shame. The trading engine is the result of a perfect blend of cutting edge tech, economics and finance. It is a Blockchain dream come true, with many bells and whistles that FinTech enthusiasts would wish they had thought of. LCE — Live Contract Engine, a websocket service that takes care of all subscriptions to live option contracts on the platform. Subscribed clients receive immediate information updates on their contracts. BA — Business API, a REST service that seamlessly serves the institutional investors. AMS — Account Monitoring Service, monitors and keeps track of transaction statuses and querying Blockchain wallet balances. It informs the system of wallets that are underfunded so that it can delist the relevant contracts. DDN — Data Distribution Node, retrieves historical and live data from the market data provider, Thomson Reuters and distributes it to its client applications. At the moment, Level01’s retains an innovative edge. The company’s founding team has yet to spot any defects within the system. Level01’s system architects work independently to keep track and identify of any upcoming technology that can add value by providing superior integrated solutions that deliver better speeds, efficiency, function, versatility and transparency. So what would be Jon’s most anticipated product on Level01? Early investors and users on Level01 are in for a treat: it is the native LVX token. With an intelligent hybrid Blockchain platform that offers security and stability to serve a global and highly lucrative $1.2 quadrillion derivatives market, the LVX token will prove to be the most widely used asset class in future.